Okay so who want such long healthy nails, raise your hands. I want it certainly. We all long for healthy and beautiful looking nails. We can always hide the imperfections by applying a pretty polish but deep down we always know our nails are not in their best health. The way they should have been ideally. Even if we have healthy nails, there is a cent percent chance there has been a time when they were brittle or prone to breaking or splitting or transparent ends or rough in texture. Isn’t this true? We’ve all faced it. Do you also suffer from brittle nails, like me? If yes keep reading, if no then also keep reading. It will prove beneficial. How to know if your nails are brittle? Brittle nails usually break or peel off in horizontal layers, starting at the nail’s free end. 1. 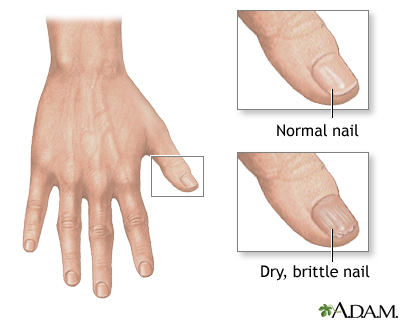 Nails get brittle because of dryness and lack of moisture. Make it a point to moisturize your hands everytime you wash your hands paying special attention to your nails. You can keep a moisturizer or hand cream next to the faucet itself so that you don’t forget. 2. 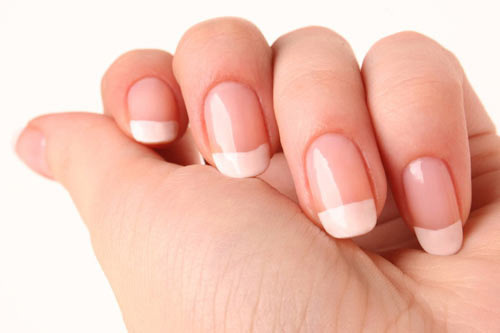 Apply petroleum jelly on your nails and cuticle. This is a quick and inexpensive method to fix ur dry, brittle nails. You can carry a small tube of petroleum jelly with you for more convenience. Apply as frequently as you want. 3. File your nails in one direction, not in both. Filing nails back and forth weakens the nails making them prone to breakage. 4. You can also rub waxy lip balm onto your brittle nails to seal in the moisture. 5. Soak nails in lemon juice for 2-3 minutes. Alternatively, you can rub the leftover lemon (after squeezing out the juice) on your nails. This is a very good method which helps in strengthening and whitening the nails. 6. To prevent the breaking of long nails, file them in square shape with slightly rounded corners and not in oval shape. 7. Rub olive oil over the nails. This helps in strengthening and making them glossy. 8. Do not use your nails for lifting, pulling or opening things. Duh! We all know this but still can’t help it. Right? Still, try to avoid. 9. Trim the nails if the splitting has already begun to prevent the further spreading. 10. Do not clip and file the nails when they are completely dry. Soak them in warm water for 5 minutes before trimming. Or you can do it after the shower when the nails are soft. All of these tips are tried and tested. Do it regularly and you will see a considerable difference. PS: If your nails are brittle for a very long time, consult a doctor. You may be suffering from mineral/vitamin deficiency.